"This shouldn’t be perceived as a rival code – it’s an opportunity for both games to come together and achieve something special." "This concept is a winner for both codes and will capture the imagination of the Australian public and the world at large." "What a sensational concept. There wouldn't be a stadium in Australia big enough to stage a game between the Kangaroos and Wallabies." "This game has got legs. I think it’s a game that can get the best out of the elite athletes from both codes and encourages them to keep developing their skills." "Imagine seeing the Kangaroos take on the All Blacks. The fans would love to see it…and you could guarantee a packed stadium for a one-off event like that." "I think it’s something the public would love to see, I think it would be a terrific game that would create a lot of interest." "Interesting concept. They’ll probably tinker with a few ideas but, as a concept and as an event, it’s got real potential." 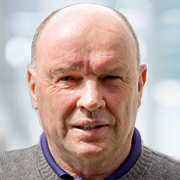 "I cannot see why in the coming years you cannot have super tests between the best of league and the best of union." "It would be wonderful. I know the League blokes would be pumped about it. It'd be bigger than Origin." It was disappointing to hear on Saturday morning from Paris, the very day of the AB’s test with France, that, the CEO of the All Blacks (Steven Tew) denied the article in a very trivial manner by saying a match up between the All Blacks and the Kangaroos wasn’t in their plans for 2019, what else could he say? I have since had communication with Steve and he expressed his disappointment that it got into the media before there had been any formal arrangement with the parties involved. I can say that I totally understand their concerns especially being hit with the news when they did last Saturday and I take full responsibility for letting the cat out of the bag too early. Finally, there were two requests from NZ RUGBY when we met last November one of which has been fulfilled, the other was, they would like to see a Hybrid match bearing elite players, for example, an NRL team v a NZ Super Rugby team like the Canterbury Crusaders and I am pleased to say that great news will be announced shortly, Regarding an NLR team, after the current RLWC Final, early in December so stay tuned. 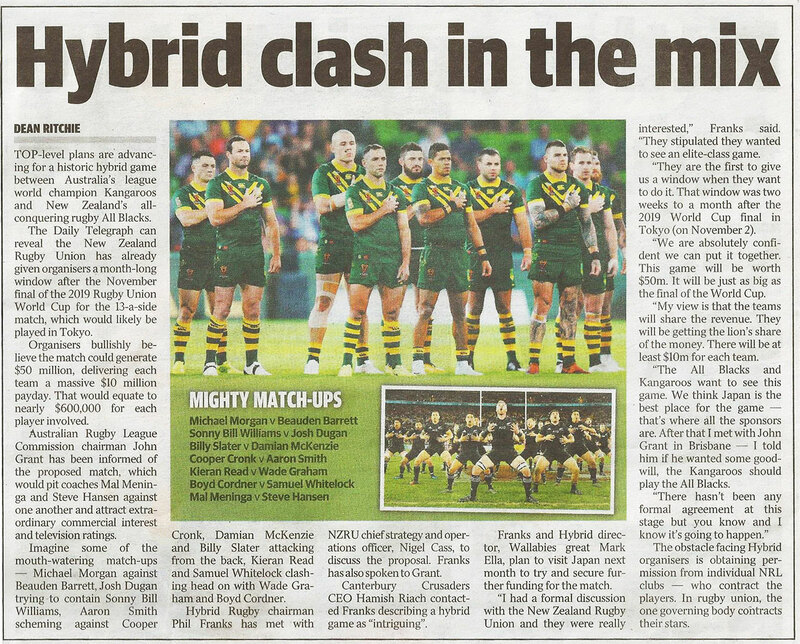 I’d like to welcome you to a wonderful concept called Hybrid Rugby, which as the name suggests is a hybrid game of Rugby League and Rugby Union. First and foremost I would like to assure you that there is absolutely no suggestion or intention to create unification between the codes. That would be undesirable and totally impractical and we would never have any part in that suggestion. Hybrid Rugby Promo – SEE FOR YOURSELF! 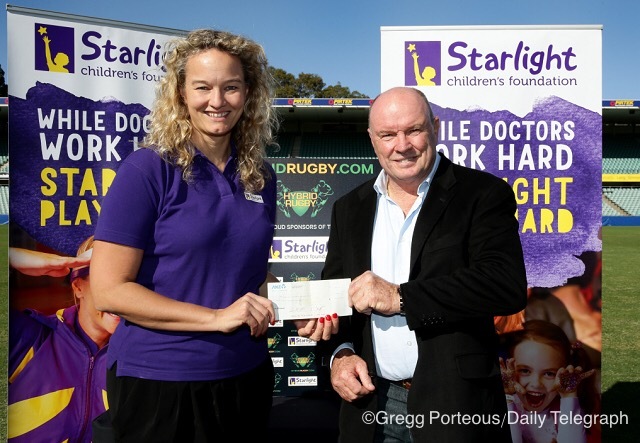 Hybrid chairman Phil Franks presents a cheque for $5000 to the Starlight Foundation. 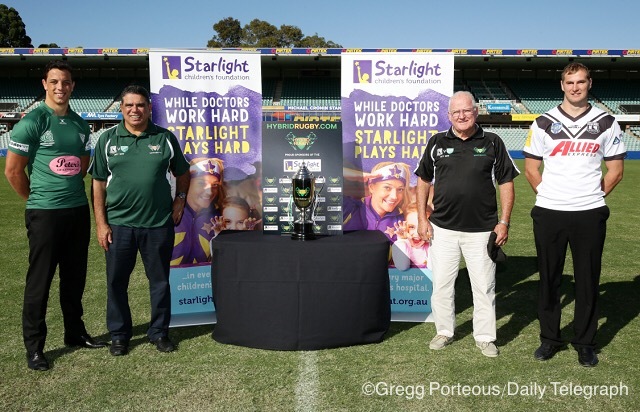 The organisers of Hybrid Rugby are hoping to raise a total of $100,000 from the event for the Starlight foundation. are hoping to raise a total of $100,000 from the event for the Starlight foundation. at Pirtek Stadium on October 11 for the Hybrid Challenge Cup. Listen to Chris Smith interview Mark Ella on upcoming Hybrid game.